The following text is a transcript of the Despatch on the conduct of the Battle of Britain submitted by Air Chief Marshal Dowding to the Air Ministry in August 1941. The text is not an exact copy of the original document; Dowding’s despatch had been kept in a rather official form and was seemingly a product of an era when documents, however large, were dictated to typists, without the benefit of easy overview and post-editing that we enjoy today. Inevitably, the narrative of the original is interrupted by many digressions and repetitions occur here and there throughout the document. For this reason I found it beneficial to make a few editorial changes to facilitate better understanding of the material. Thus, sections of the text have been repositioned in the text to keep the logic of the narrative. Secondly, some paragraphs without direct relevance to the conduct of the operations or Dowding’s reasoning have been omitted. Thirdly, captions have been added and some clarifications (always clearly marked as my additions) inserted. Lastly, paragraph numbering and capitalizations, which are typical of the 1940s style of writing but do not add to modern readers’ perception of the text, have been removed. Changes of this kind are normal procedures in publishing and are frequently being applied without being mentioned. However, I felt compelled to clarify this as Dowding’s despatch is a historical document of significant value. I believe that the result of these humble efforts is a report which is true to the intent and content of his original message and the one which will should be interesting to a broad group of readers. I trust that I may be permitted to record my appreciation of the help given me by the support and confidence of the Prime Minister at a difficult and critical time. In the early stages of the fight Mr. Winston Churchill spoke with affectionate raillery of me and my “Chicks”. He could have said nothing to make me more proud; every Chick was needed before the end. 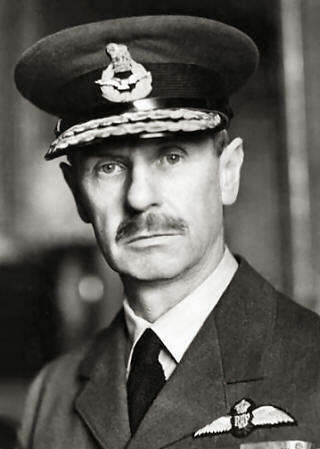 Commanding-in-Chief, Fighter Command, Royal Air Force. August 20, 1941. I have been instructed by the Air Council to write a despatch on the Air Fighting of last Autumn, which has become known as the Battle of Britain. The conditions are a little unusual – because, firstly, the Battle ended many months ago, secondly, a popular account of the fighting has already been written and published, and, thirdly, recommendations for Mention in Despatches have already been submitted. I have endeavoured, therefore, to write a report which will, I hope, be of historical interest, and which will, in any case, contain the results of more than four years’ experience of the Fighter Command in peace and war. In giving an account of the Battle of Britain it is perhaps advisable to begin by a definition of my conception of the meaning of the phrase. The Battle may be said to have started when the Germans had disposed of the French resistance in the Summer of 1940, and turned their attention to this country. The essence of their Strategy was so to weaken our fighter defences that their air arm should be able to give adequate support to an attempted invasion of the British Isles. Experiences in Holland and Belgium had shown what they could do with armoured forces operating in conjunction with an air arm which had substantially achieved the command of the air. This air supremacy was doubly necessary to them in attacking England because the bulk of their troops and war material must necessarily be conveyed by sea, and, in order to achieve success, they must be capable of giving air protection to the passage and the landing of troops and material. The destruction or paralysis of the Fighter Command was therefore an essential prerequisite to the invasion of these Islands. Their immediate objectives might be convoys, radio-location stations, fighter aerodromes, seaports, aircraft factories, or London itself. Always the underlying object was to bring the Fighter Command continuously to battle, and to weaken its material resources and intelligence facilities. Night attacks by heavy bombers were continuous throughout the operations, and, although they persisted and increased in intensity as day bombing became more and more expensive, they had an essentially different purpose, and the Battle of Britain may be said to have ended when the fighter and fighter-bomber raids died down. It is difficult to fix the exact date on which the Battle of Britain can be said to have begun. Operations of various kinds merged into one another almost insensibly, and there are grounds for choosing the date of the 8th August, on which was made the first attack in force against laid objectives in this country, as the beginning of the Battle. On the other hand, the heavy attacks made against our Channel convoys probably constituted, in fact, the beginning of the German offensive; because the weight and scale of the attack indicates that the primary object was rather to bring our Fighters to battle than to destroy the hulls and cargoes of the small ships engaged in the coastal trade. While we were fighting in Belgium and France, we suffered the disadvantage that even the temporary stoppage of an engine involved the loss of pilot and aircraft, whereas, in similar circumstances, the German pilot might be fighting again the same day, and his aircraft be airborne again in a matter of hours. In fighting over England these considerations were reversed, and the moral and material disadvantages of fighting over enemy country may well have determined the Germans to open the attack with a phase of fighting in which the advantages were more evenly balanced. I have therefore, somewhat arbitrarily, chosen the events of the 10th July as the opening of the Battle. Although many attacks had previously been made on convoys, and even on land objectives such as Portland, the 10th July saw the employment by the Germans of the first really big formation (70 aircraft) intended primarily to bring our fighter defence to battle on a large scale. [According to this definition, at the beginning of the Battle of Britain – ed.] I had 59 squadrons in various stages of efficiency. Many of them were still suffering from the effects of the fighting in Holland and Flanders, at Dunkerque, and during the subsequent operations in France. Others were in process of formation and training. But, if the lessons of the Battle are to be correctly appreciated, due consideration must be given to the factors leading up to the situation existing when it began. Leaving out of account peacetime preparations and training, the Battle of Britain began for me in the Autumn of 1939. The first major problem arose during the discussion of the question of sending fighter squadrons to France. The decisive factor was that of supply. 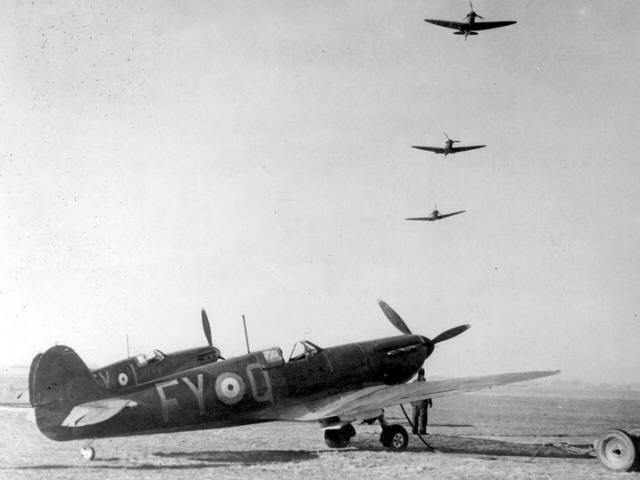 Our output at the beginning of the war was about 2 Hurricanes and 2 Spitfires per day; and, although there were hopes of increasing Hurricane production, there was then no hope that Spitfire production would be materially increased for about a year. It is true that certain optimistic estimates had been made, but there were reasons to believe that these could not be implemented. At that time, we in England were out of range of German Fighters, and I had good hopes that unescorted bomb raids on this country could be met and defeated with a very small loss in Fighters; but there could be no illusions concerning the wastage which would occur if we came up against the German Fighters in France. I therefore regarded with some apprehension the general policy of sending Home Defence fighter units to France; but, as it was clear that such an attitude was politically untenable, I wrote on the 16th September, 1939, a letter to the Air Ministry. In this letter I pointed out that the Air Staff Estimate of the number of Fighter squadrons necessary for the defence of this country was 52, and that on the outbreak of war I had the equivalent of 34 (allowing for the fact that some Auxiliary squadrons were only partially trained and equipped). I wanted 12 new squadrons, but asked that eight should be raised immediately, and made proposals for their location and employment. In a letter dated the 21st September the Air Ministry regretted that the most they could do towards meeting my requirements was to form 2 new squadrons and 2 operational training units. I was invited to a meeting of the Air Council on the 26th September. On the 25th September, 1939 I wrote expressing my disappointment and asking for a reconsideration. As a result of this letter, the Air Council meeting, and a further meeting under the chairmanship of the Deputy Chief of Air Staff, the Air Ministry wrote on the 9th October sanctioning the immediate formation of 8 new squadrons, though 6 of these could be formed initially only as half-squadrons owing to shortage of resources. This correspondence is too lengthy to reproduce here, but it deals also with my apprehensions concerning Hurricane wastage in France, which were realised in the Spring of 1940. It also dealt with an estimate worked out by the Air Ministry Organisation Staff that after 3 months of fighting we might expect the fighter strength to have been reduced to 26 squadrons. In October, 1939, the Air Ministry further reconsidered their policy, and ordered the formation of 10 additional fighter squadrons, 4 of which were destined for the Coastal Command. In January, 1940, the Northern flank of our continuous defence organisation was on the Forth, and the South-Western flank was at Tangmere in Sussex, with the exception of an isolated station at Filton for the local defence of Bristol and the mouth of the Severn. On the 2nd and 4th February I wrote two letters pointing out these limitations, and asking for an extension of aerodrome facilities, intelligence cover and communications. On the 9th February I was told that a paper was in preparation, and that I would be given an opportunity to remark on the proposals at a later stage. On the 6th March I received the paper referred to and forwarded my comments on the 23rd March. On the 8th May I received a letter saying that a reply had been delayed. The proposals were now approved, and decisions would shortly be taken. This delay was presumably unavoidable, but the result was that the organisation and development of the defences of the South and West of England were very incomplete when they were called upon to withstand the attacks which the German occupation of French aerodromes made possible. The fighting in Norway has only an indirect bearing on this paper. Certain useful tactical lessons were gained, particularly with regard to deflection shooting, and I trust that the story of the epic fight of No. 263 Squadron under Squadron Leader J. W. Donaldson, D.S.O., near Andalsnes, may not be lost to history. The outcome, as it affects this account, was the virtual loss of 2 squadrons in the sinking of the aircraft carrier Glorious after the evacuation of Narvik. Next came the invasion of Holland, and the call to send fighters to the assistance of the Dutch. The distance to Rotterdam was about the extreme range of the single-seater fighter, which therefore operated under the disadvantage of having a very, brief potential combat-time, followed by the necessity of a long sea crossing on the homeward way. The Blenheims, of course, had the necessary endurance, but they had not been designed as fighters, and their use against day fighters proved costly in comparison with the limited success which they attained. The Defiants were used here for the first time, and, although they proved very effective against unescorted bombers, they, too, suffered heavy casualties when they encountered fighters in strength. As the result of this experience I formed the opinion that the Blenheims should be kept exclusively for night fighting, if possible, while I retained an open mind about the Defiants pending some experience of short-range fighting. Then began the fighting in Belgium and Northern France, and at once my fears about the incidence of wastage in this type of fighting began to be realised. At the beginning of April, 1940, there were 6 fighter squadrons in France. Then 4 more complete squadrons were sent when the fighting began. Then [again – ed.] on the 13th May 32 pilots and aircraft were sent – say the equivalent of 2 squadrons. Almost immediately afterwards 8 half-squadrons were sent. This was done under the impression that the loss of 8 half- squadrons would affect me less than that of 4 entire squadrons, because it was supposed that they should be able to rebuild on the nuclei left behind. But this assumption was incorrect because I had neither the time nor the personnel available for purposes of reconstruction, and the remaining half-squadrons had to be amalgamated into Composite Units with a resulting disorganisation and loss of efficiency. At this time, too, I was ordered to withdraw trained pilots from squadrons and to send them overseas as reinforcements. I had now lost the equivalent of 16 squadrons, and in addition 4 squadrons were sent to fight in France during the day and to return to English bases in the evening. Other pilots were withdrawn from the Command through the system by which the Air Ministry dealt direct with Groups on questions of personnel. It must be remembered that during this period the Home Defence squadrons were not idle, but that Hurricane squadrons were participating in the fighting to a considerable extent, 4 squadrons daily left South-East England with orders, to carry out an offensive patrol, to land and refuel in France or Belgium, and to carry out a second sortie before returning to England. Hitherto I had succeeded generally in keeping the Spitfire squadrons out of the continental fighting. The reason for this, as stated above, was that the supply situation was so bad that they could not have maintained their existence in face of the aircraft casualty rate experienced in France: between the 8th May and the 18th May 250 Hurricanes were lost. When the Dunkerque fighting began, however, I could no longer maintain this policy, and the Spitfires had to take their share in the fighting. When the Dunkerque evacuation was complete I had only 3 day-fighting squadrons which had not been engaged in continental fighting, and 12 squadrons were in the line for the second time after having been withdrawn to rest and re-form. All this time, it must be remembered, the attack on this country had not begun; with a few accidental exceptions no bomb had been dropped on our soil. I was responsible for the Air Defence of Great Britain, and I saw my resources slipping away like sand in an hour-glass. The pressure for more and more assistance to France was relentless and inexorable. In the latter part of May, 1940, I sought and obtained permission to appear in person before the War Cabinet and to state my case. I was accorded a courteous and sympathetic hearing, and to my inexpressible relief my arguments prevailed and it was decided to send no more fighter reinforcements to France except to cover the final evacuation. I know what it must have cost the Cabinet to reach this decision, but I am profoundly convinced that this was one of the great turning points of the war. Another decision, of perhaps equal importance, was taken at about this time. I refer to the appointment of Lord Beaverbrook to the post of Minister of Aircraft Production. The effect of this appointment can only be described as magical, and thereafter the supply situation improved to such a degree that the heavy aircraft wastage which was later incurred during the Battle of Britain ceased to be the primary danger, its place being taken by the difficulty of producing trained fighter pilots in adequate numbers. After the evacuation from Dunkerque the pressure on the Fighter Command became less intense, but it by no means disappeared. Hard fighting took place along the coast from Calais to Le Havre to cover the successive evacuations from that coast. Then the centre of gravity shifted to Cherbourg and its neighbourhood, and the Battle of Britain followed on without any appreciable opportunity to rest and re-form the units which had borne the brunt of the fighting. As has been explained above, few squadrons were fresh and intact when the Battle began. No sufficient respite has been granted since the conclusion of the Dunkerque fighting to rest the squadrons which had not left the Fighter Command, and to rebuild those which had undergone the ordeal of fighting from aerodromes in northern France. These last had been driven from aerodrome to aerodrome, able only to aim at self-preservation from almost continuous attack by bombers and fighters; they were desperately weary and had lost the greater part of their equipment, since aircraft which were unserviceable only from slight defects had to be abandoned.